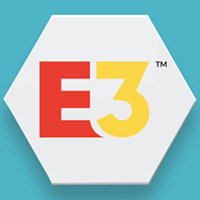 The 2018 Electronic Entertainment Expo (E3) is next week and I thought it might be fun to attempt some predictions again (last year's predictions). I feel like there have been more significant leaks ahead of E3 this year though there are a lot every year so it's hard to say. Hopefully surprises still await as that is the best part of the E3 press conferences. I'll see if I can keep this a bit more brief than last time as I'll just cover the console makers and then some random stuff. 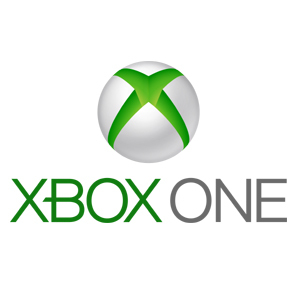 Microsoft continues to drag its feet on Xbox One exclusives and new properties so it seems unlikely it would unveil any original games but it really needs to. It's a good bet we'll get announcements for another Forza Horizon and Gears of War, possibly something Halo related, and a better look at Crackdown 3. Last year my long shot pick was a new Age of Empires which is actually in development now so we could see some footage of that too. With Xbox One's backwards compatibility putting original Xbox games back in the spotlight there could be renewed interest in a sequel or two for some of those games. How about Sneakers 2? Just kidding. Perhaps Microsoft can publish a timed third-party exclusive, like Jade Empire 2, even though there is less than a 1% chance BioWare is working on that. Last week Nintendo announced a few new Pokémon games coming out soon, and we already knew about Pokémon, Smash Bros., Metroid Prime 4, and Yoshi games in development for Switch. 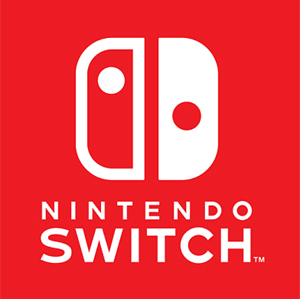 Nintendo is also publishing Captain Toad: Treasure Tracker and Wolfenstein II for Switch soon. A rumor hit earlier in the year about a Diddy Kong Racing game which could be legitimate. Aside from possible ports or remakes, I'm not sure how many more new games Nintendo itself could have in development. The safest best would be an Animal Crossing game for Switch and maybe another Labo kit. Switch is a much bigger focus than the 2DS/3DS these days since Switch is a portable console so I'm going to skip predicting any handheld games. 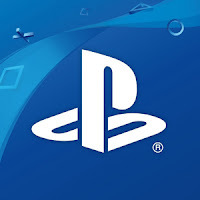 Sony will more than likely be showing more of the games that were announced two or more years ago that still aren't out: Spider-Man, Days Gone, The Last of Us: Part II, Ghost of Tsushima, Death Stranding, and Dreams. Wild is another that could make an appearance though I wouldn't count on it. That's already quite a few games so how many other new games could be in development? Probably not too many and while I love new announcements, Sony might be better off waiting until some of the aforementioned games have been released before revealing even more big budget exclusives. Outside of games, I do expect Sony to unveil something I learned about a month ago that I do not believe is widely known yet. It's not a big deal but there was an embargo on it from the third-party publisher I first heard about it from. However, a week later I got similar information from a retail distributor with no mention of an embargo and one game listing related to it can be found on some retail websites so I believe it is safe to discuss. Now that the PlayStation 4 is close to five years old, Sony will be starting up a Greatest Hits line again, this time simply called PlayStation Hits. The games will cost $19.99 when the program goes into effect on June 28th. Thus far I know of 11 games that will be in the first wave of PlayStation Hits but I will hold off mentioning those just in case it would upset a publisher. The third-party publishers have been experiencing leaks and making quite a few announcements the past few weeks. Some of those games include Assassin's Creed Odyssey, Fallout 76, Call of Duty: Black Ops 4, Battlefield V, Rage 2, LEGO DC Super-Villains, and Team Sonic Racing. Last year some of my predictions that didn't happen were The Elder Scrolls VI, Dragon Age 4, Borderlands 3, more LEGO Star Wars, a second season of Telltale's Game of Thrones, a new Splinter Cell, and another Prince of Persia. I'd guess Elder Scrolls and Borderlands could be good guesses for this year, and I'm still surprised there hasn't been another LEGO Star Wars as there have now been three more movies since The Force Awakens. There is a very good chance that Warner Bros. reveals what Rocksteady is working on, which is more than likely another game based on a DC comic book character (Superman?). Two of my favorite developers are Firaxis and Remedy; Firaxis could be readying XCOM 3 and Remedy is expected to show something new at E3. I'm also still waiting for a great G.I. Joe video game which was one of the things I wrote about early in the blog's life. Unfortunately, I know that's probably not happening any time soon but I have to always bring it up to keep the hope alive! Perhaps the property will gain some traction when another movie hits, though I want a game based on the cartoon and toys from the '80s rather than a movie. 6/6/18 UPDATE: I made a couple changes as Sony has stated Death Stranding will make an appearance at E3 and today I received more information on the PlayStation Hits from a second distributor which listed eight Sony-published games that would be joining the label/price cuts on June 28th. 6/13/18 UPDATE: Last year I added my thoughts to the comments but I'm going to toss a few here as an update now that all of the conferences ended. The show is about half over as well so I don't expect any major announcements at this point. As far as the non-expected announcements, my predictions were 1 out of 6 as Microsoft is indeed working on a new Battletoads game. Sony primarily stuck to showing the games we already knew of which is what I thought might be best course of action though I did expect it to at least have some people on stage and reveal the PlayStation Hits line. Unfortunately, it was just a lot of trailers like last year which I find odd because this is E3, the world is watching so why not speak to the people and engage them. Nintendo had the usual pre-recording and about 90% of that was Super Smash Bros. As far as other companies I was hoping to hear from: Remedy's new game is Control; Firaxis was quiet (all of 2K has been quiet after announcing the next NBA 2K last week); nothing from Rocksteady; Ubisoft's conference was entertaining but no Splinter Cell; Sega is finally bringing Yakuza to PC; Bethesda is working on a new property called Starfield and the next Elder Scrolls is in development though it's a long ways off; and there was a mention of a new Star Wars game from EA and Respawn titled Star Wars Jedi: Fallen Order with a release window of holiday 2019. I'm not sure it's worth ranking the conferences but I can easily say, regardless of quality or quantity of games, Microsoft and Ubisoft were the most enjoyable to watch. EA is really only good for those that like to compete in sports games, Square Enix was short and similar to Sony's trailer fest, and I'd put Bethesda in the middle. Seeing as how I'm not interested in Smash Bros. there wasn't much to see from Nintendo and I don't care for Sony's presentation, even if it does have one of the games I'm most looking forward to (Ghost of Tsushima).